I'm six weeks away from finishing my Master's degree in education (yay!) and have a big presentation to do on Reader Response Theory tomorrow. It was no surprise, then, that there was no time to cook dinner! 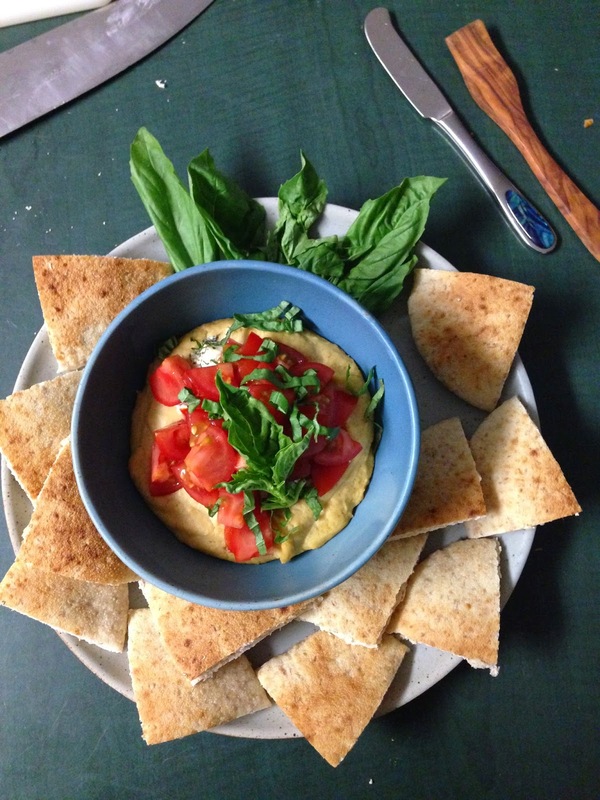 Supper tonight was a quick but delicious four-ingredient warm hummus dip. Served with pita triangles, this was ready in fifteen minutes and hit the spot. If you've never eaten hummus warm before, now is the time to start! 1. Preheat oven to 35o degreed Fahrenheit. 2. 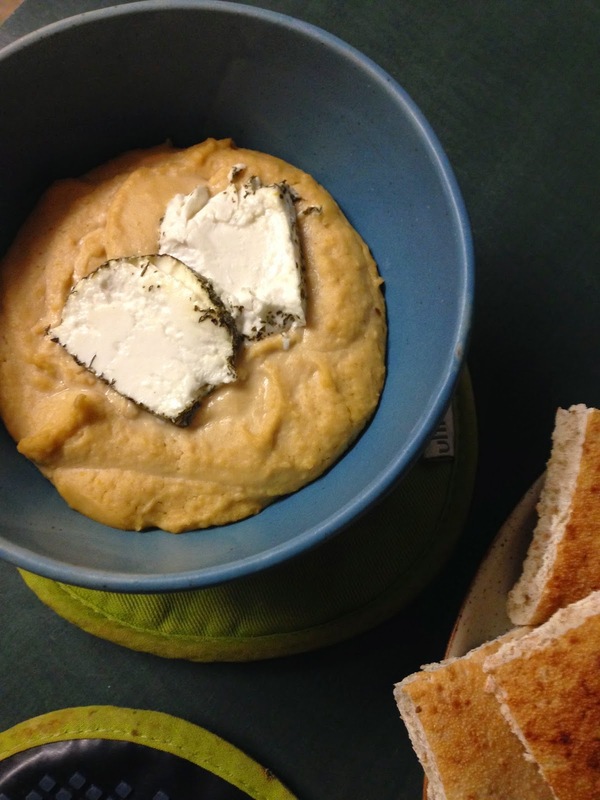 In an oven-proof dish, place the two goat cheese slices on top of the hummus. Bake for 12 - 15 minutes or until warm throughout. 2. 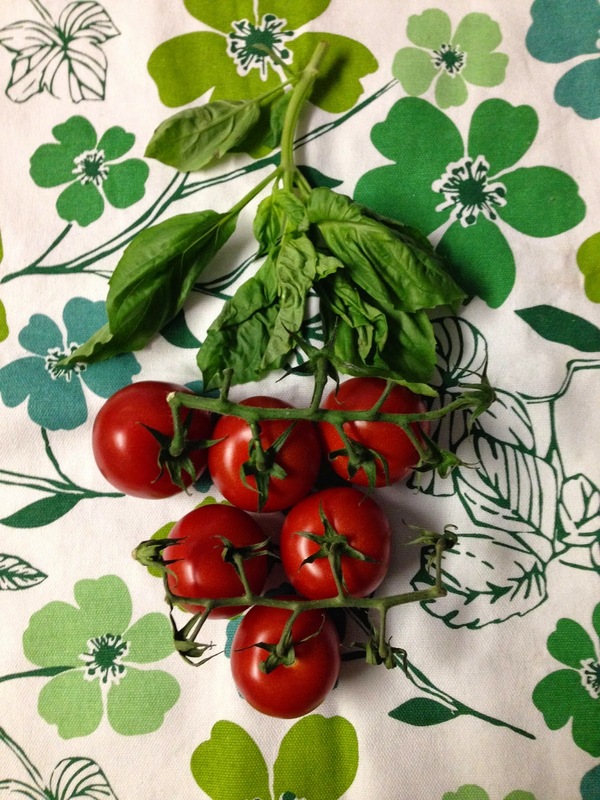 Remove the hummus from the oven and top with fresh, diced tomatoes and fresh basil. Serve with pitas. Enjoy! 1. You can use your own hummus or a store bought one. There are millions of recipes for how to make hummus on the internet. If you are making your own, the key is to rub off the chickpea skins before pureeing them. 2. The goat cheese comes in a short log. You can use herbed goat cheese or plain. Slice two thick rounds for this dish. 3. If you have left over bruschetta topping, it's a great replacement for the fresh tomatoes.